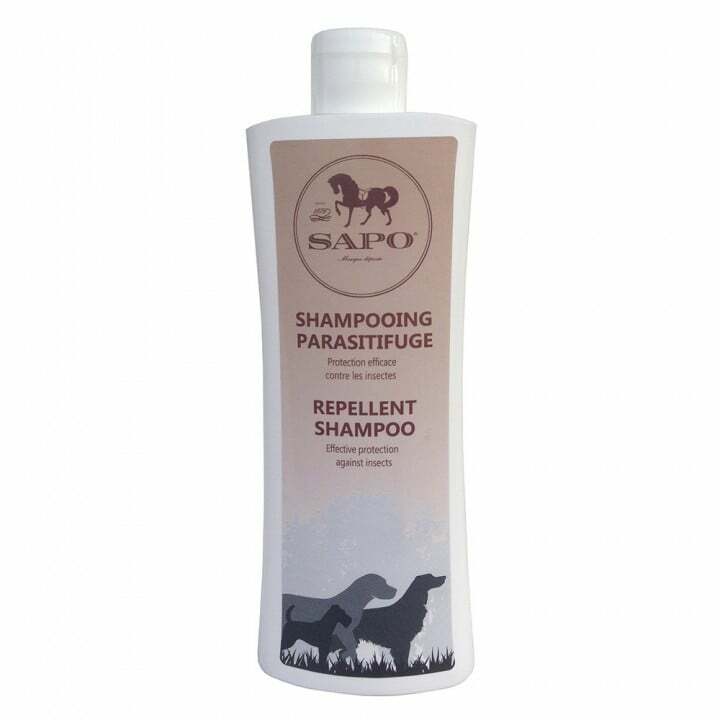 A cleaner and repellent, this shampoo combats and repels all types of biting, flying and crawling insects such as fleas, ticks, mosquitoes, flies, horseflies, bugs, mites… PH neutral, it is suitable for all types of hair and coat. Pleasantly scented. Dampen your animal’s entire coat with lukewarm water. Apply a few dabs of shampoo and massage to make its sudsy. Leave to work for 5 mins then rinse with plenty of clean water. Repeat for best results.